Poll: Which app do you use to backup your smartphone's photos? If you backup your smartphone photos, and you should, its important to know which service is best for your needs. Google Photos has been integrating artificial intelligence to its features, and more people are trying OneDrive thanks to its deep integration with Windows. It seems Dropbox and iCloud are no longer the obvious choices, and we want to know which of the popular services you prefer to use to backup your photos. You're no doubt familiar with Google Photos by now, as it has been around for two full years. But, you many not be aware that it's becoming capable of more than just backing up your photos and videos to the cloud for free. At Google I/O 2017, Google announced that the Google Photos app would incorporate more sophisitcated artificial intelligence, in order to not only recognize faces, but also to automatically share relevant photos with specific people. It will be able to, for example, share photos of your children with your wife automatically. Using AI, Google Photos will also be able to recognize and organize photos based on what the picture is of. For some, this sounds like Minority Report. For others, it sounds like convenience. In any case, these new features have got us interested in revisiting the topic of smartphone photo backup options, and we want to know which app you prefer. Which service do you use to back up your smartphone's photos? 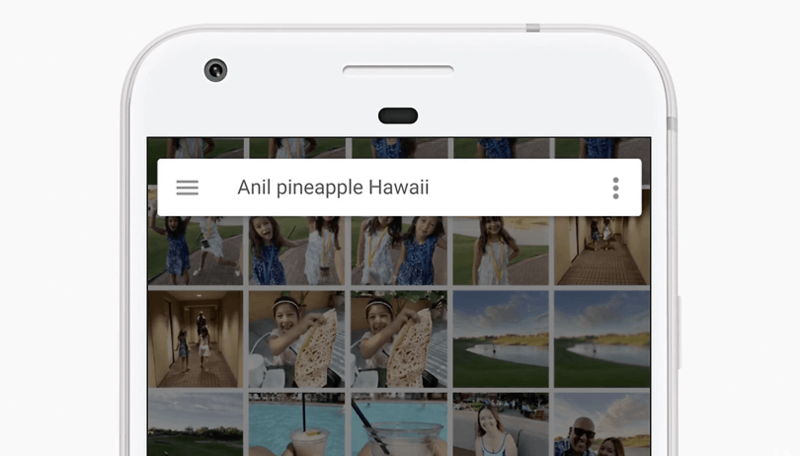 The new AI-powered features of Google Photos are just the beginning. Which features do you want to see come next in photo backup apps and services? Let us know in the comments. Google Photos is the best, and if you have a Pixel phone you get unlimited full resolution backups so it's even better. Google Photos by default as I use Android devices but for true backup I upload to my Plex server. No size limitation, just a one-time fee for Plex pass. Needs easy tagging of uploaded photos, duplicates removal, photo management (what photos are in and conversely not in albums) and like Picasa facial recognition. Frames for photos would be nice too. I used to try to sync things up with a PC and it became a chore. Plus there were times when I wanted access to a photo only to find I had deleted it from my phone to free up space. Along came Google photos and it's great because I use the unlimited storage option for free and can locate my pics pretty easily through the album features. And lastly I can find the pics I have loaded up there pretty easily and loaded many of not almost all of the pics I had on my PC. For me it's a no brainer since I use Google apps for a lot of what I do. Can we get a Memories feature (iOS equivalent), that's the only thing I miss about the iPhone. Thank you. Used to have a paid account but found the free only shows small amount of photos. Has that changed? Also mass upload was a disaster. I've avoided Google for anything personal because of its data aggregation model - currently set camera apps to OneDrive on microSD, and sync to the cloud with Autosync OneDrive - OneSync (Metactrl) when on wifi - better than the official OneDrive app. OneDrive (like Dropbox) then downloads the files to local drives on PC (and tablet) from which they're backed up again on a 1tb external drive. That said, I'm interested in the new MEGA storage service which is free 50gb fully encrypted - current app is crude and servers slow, but has potential. These services come and go and their prices and policies change (witness Photobucket news) so cautions are well taken against relying too much on them. No doubt, Google Photos is the best. I mostly enjoy "Rediscover this day" feature. Well, Plex auto backup isn't bad either. Google photos.. it's easy and free.. until there's a power cut, or no Wi fi or cell reception..
at that point I'd probably regret not using a USB stick or SD card. I used to save it from external drive to backups external hard drives in case one failed. Its ok this way but theres a risk and I don't want to loose the most precious moments with my kids. The way I do it now I use only google photos to back up every picture and every video to it. It's always available and I don't have to worry if the harddrive fails or worse case the house burns down or a burglar comes and takes my computer and drive. There's no way I will loose them. Worse case leave you a backup harddrive with all those pictures and videos in case you're wondering what it google deletes it. One main thing to remember when getting a google photos account make sure to get it with a gmail account. I found out the hard way. This way all videos will store on the cloud. I found out with other emails with the family it doesn't work. I directly upload my photos to google drive . Why not use Google Photos then? I used to backup my phone photos to my laptop and USB flash disk, and sometimes sync to the cloud with the phone built-in backup app. Especially for WhatsApp photos and other media like videos and audios, I specifically use Jihosoft WhatsMate to backup them up to the computer. I back up all my photos on the computer and Micro SD cad. I do not and will trust any cloud services for my photos. Pay to put them there, pay to keep them there, and pay to get them back through data charges. The biggest rip off scam there is, is cloud storage.